OH my goodnight! 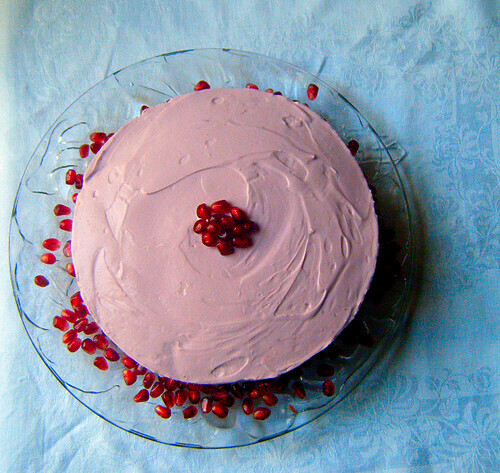 You just don’t know how very much I love pomegranate! It looks so good I’d be afraid to I’d want to eat the whole thing. This looks fabulous as always. I am having trouble with diary and was wondering if you think this would work with tofutti cream cheese and soy creamer. Do you know if it is possible to get erythitol that is fermented off of something other than sugar? I am allergic to cane and beet sugar and currently am having a minor reaction to erythitol. Or, should I just use xylitol/agave? Kimberly – Does the soy creamer whip to stiff peaks? If so, it might work! Otherwise it might be too watery. This looks so delicious!!!! I have never tried pomegranite but it looks like it is time to try it. Thank you so much for the chocolate Lauren!!! Yes, waking up to this would be a dream. I love the pink color, and, of course, it’s so darn healthy but looks sinfully tasty! 🙂 I’m not even a cheesecake fan! Sophie – I am not a cheesecake fan either! Thank you for the nice comment. 1-Taste & texture like cheesecake or pudding? 2-I don't have erythitol, can I use another sweetner (splenda or sweetnlow)? If so how much? 3-Do you like the vanilla cheesecake? and last question, I promise! 🙂 did you ever experimented mascarpone instead of cream cheese (I never did but want to try)? Hi BusyB, I’m sure whatever sweetener you prefer would work well in this recipe! Just add Splenda and taste as you go along. The texture is less dry and more creamy than a cheesecake, but definitely not like a pudding. It’s very good with the lemon juice in place of the pom flavor. I really like this blog. Thanks for the info. I just made this cheesecake, varying it to my diet, and it is sooo good. I used the neufatchel cheese, powdered sugar inplace of erythritol, agave in place of stevia, and vanilla in place of pom juice, along with homemade whipped cream. the crust was made from kashi cereal crumbs, coconut oil, and organic sugar. it was so easy and it tastes soo velvety rich like a cheesecake should. My daughter and i licked the spoons clean! whatever variation you choose, make it, and it will be your favorite too! Love this cheesecake! 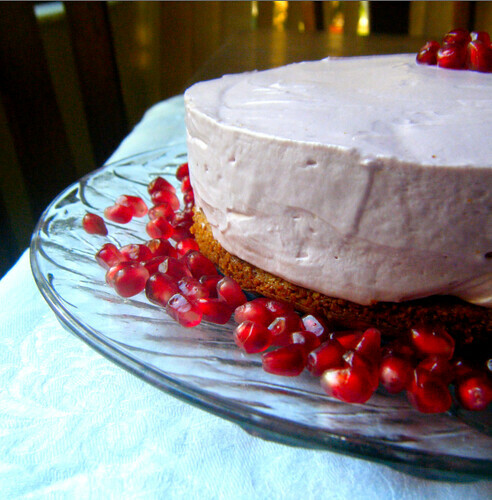 Well, I love all cheesecakes but this one is quick, easy and delicious! 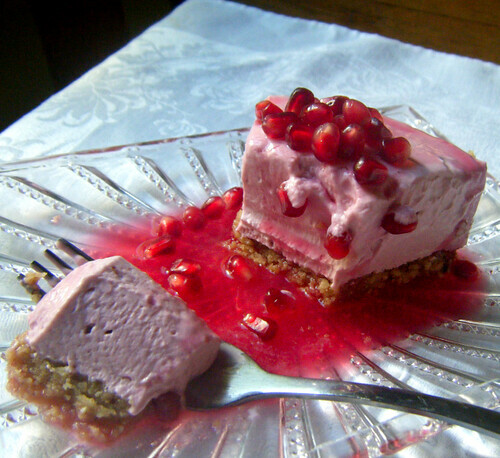 Wonderful recipe for a no-bake cheesecake! I used 1 Tbs lemon juice and vanilla extract to make a traditional flavor (no pomegranate on hand). Also a dash of cinnamon to the crust. After 7-8 days the filling developed a slightly grainy texture, probably due to the erythritol but taste was unaltered. I do belive that the protein pill are nutrient that our body does not produce on its own.Using someting doesnot make any injurious to healh.